Most Bluetooth headphones sold today include a microphone in their housing, allowing them to make and answer calls. But a dedicated headset is still the best option if you want superior sound and battery life. 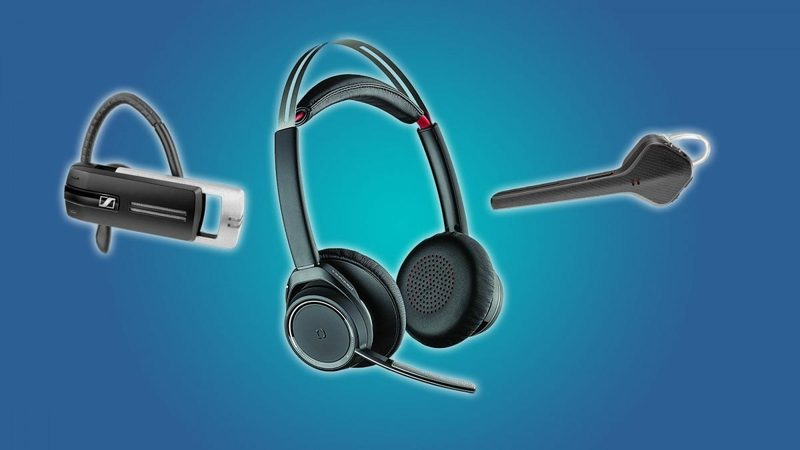 We’ve chosen the best Bluetooth headsets designed primarily for placing and receiving calls. Most of them use a single earphone, making them impractical for listening to music (though it’s still technically possible). We’ve selected the best choices for general mobile users, those who want to take calls in their cars or in a conventional office most or all of the time, and those looking for the best option at the cheapest price. Plantronics features heavily in our roundup; the company is hard to beat in terms of features and performance for this very particular niche. There are smaller single-ear headsets than the Voyager 3200 on the market. But if you’re interested in something specifically for taking calls, we think it’s the best option available for a mobile-focused user. The extra-long boom arm allows the microphone array to sit much closer to your mouth for clear, precise pickup, and a triple microphone design lets the system suppress outside noise much more effectively than cheaper single-mic models. The kit is super-light, but if you’d still like a little more stability when wearing it, you can choose from the standard silicone earbud or an optional add-on ear clip. 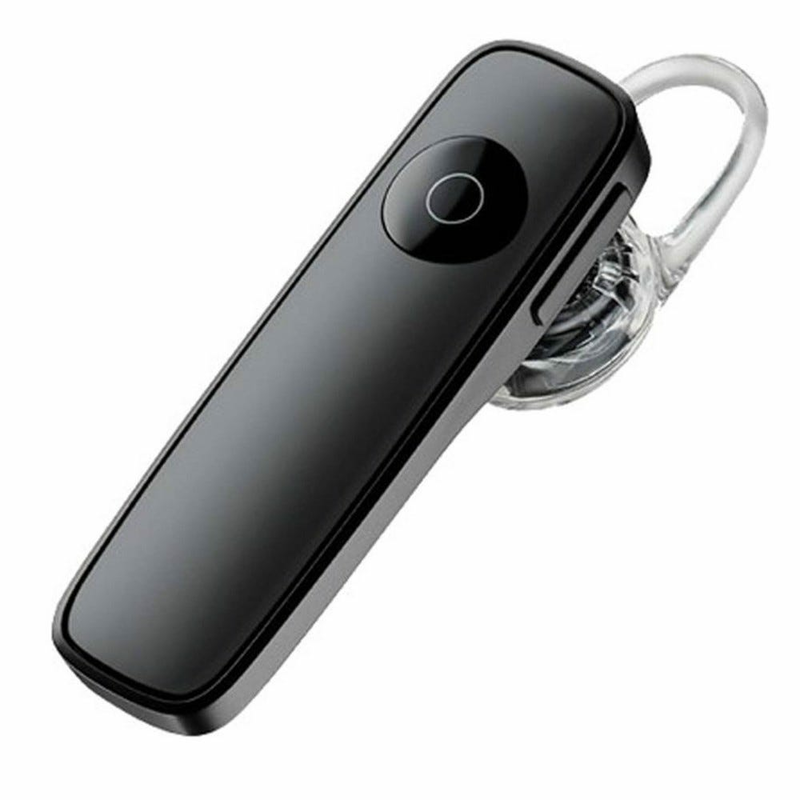 The headset is small enough to fit into a pocket without issue and will last for up to six hours of talk time. But if you’re constantly on the phone far away from anywhere you can recharge it, we recommend also picking up the $30 optional charging cradle. In addition to a secondary battery that gives the Voyager 3200 an extra ten-hour runtime, it’s easy to clip onto a belt loop or bag. The combination is a one-two punch for anyone who needs to make calls on the move all day long. For users that spend most of their workday in their car, a reliable headset is as much about safety as it is convenience. 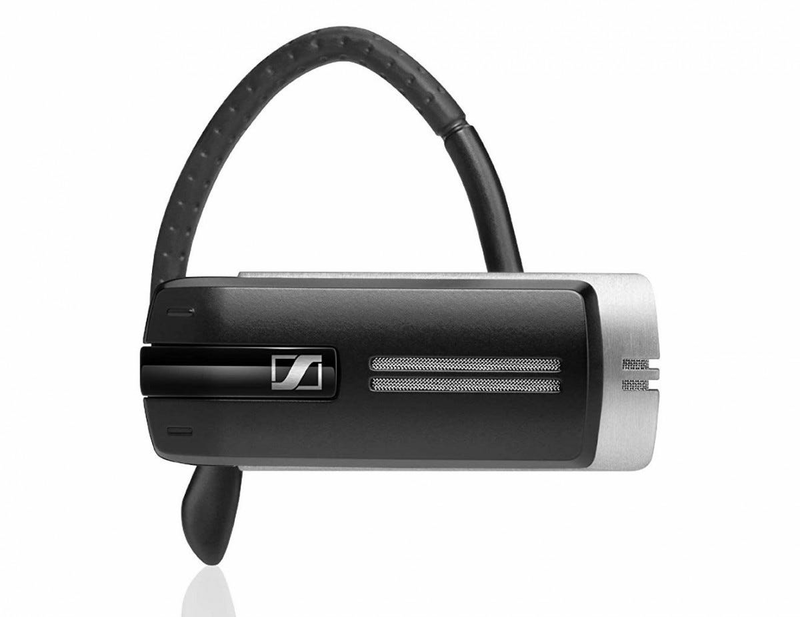 Bearing that in mind, this Sennheiser design is ideal for those that are constantly receiving calls behind the wheel. A ten-hour talk time should keep the headset going through even the most stressful workday, and the noise-canceling feature specifically tuned to remove wind noise should perform just as well for highway and interstate road noise. 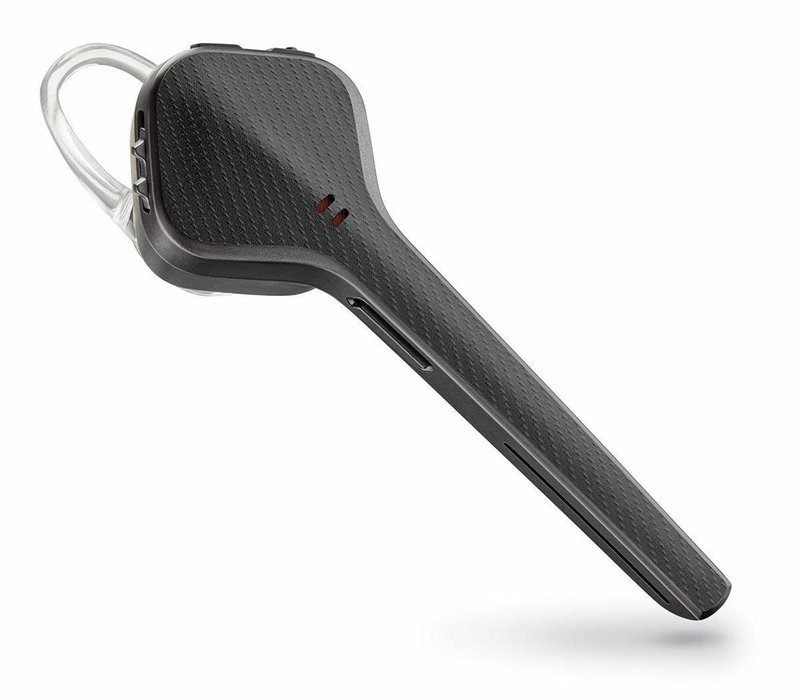 The included earclip is more heavy-duty than the one on the Plantronics model above, which will make it more comfy for extended wearing on long drives. The unit recharges with a standard MicroUSB cable, and it even comes with a car charger in the package—a handy inclusion, if only so you’ll have a backup. 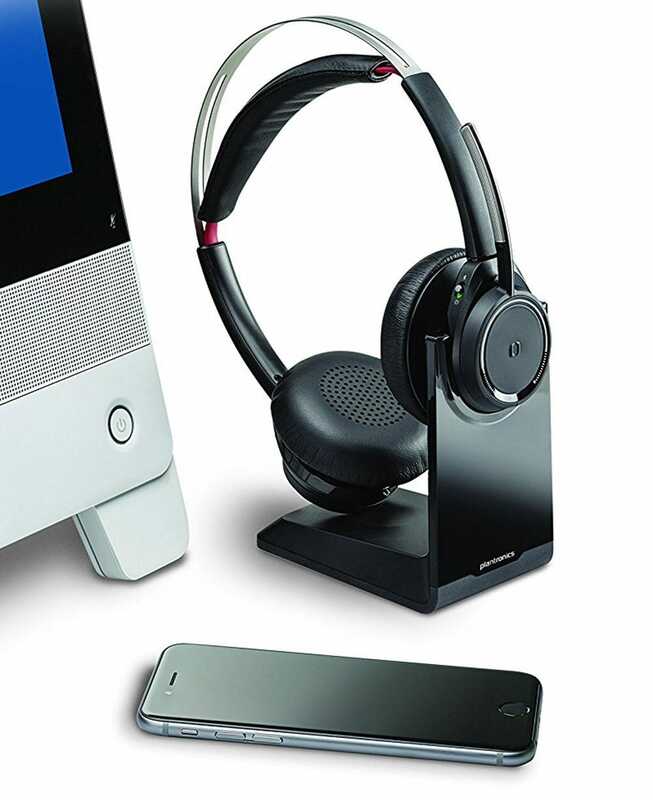 The Presence works fine as a standard mobile headset, and it can also pull double-duty as an office model with the “VOIP headset” add-on and charging stand. If you’re spending the majority of your day at a work desk, answering calls on your mobile phone, your office landline, and your computer’s VOIP programs, then this is the headset for you. The Voyager Focus features a conventional double-eared headphone design for comfort after hours of extended use, not to mention some light music listening when you’re not taking calls. The permanent mic boom incorporates three microphones for noise-canceling, and the hardware controls allow you to quickly mute the mics if you need to do something without letting the person on the other end hear you typing and clicking. 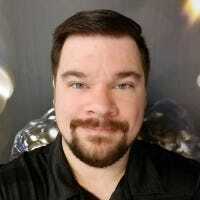 The headset can quickly switch between the Bluetooth connections on your PC, mobile phone, and desktop phone (assuming the later supports Bluetooth, naturally). It lasts for up to twelve hours on a charge and you can wander more than 100 feet from your desk before losing the audio connection. The package includes a Bluetooth receiver if your desktop PC doesn’t already have one, and a handy desktop charging station for easily letting the system charge up without needing to mess with cables or plugs. Call quality is excellent thanks to certified compatibility with Skype and other VOIP systems. It’s a bit pricey, but you’ll appreciate the features if you’re taking calls for hours in your workday. If you’re looking for the absolute cheapest Bluetooth headset you can find, there are a few that are even less expensive than this Plantronics model. But based on our own experience and its wealth of user reviews, we’d suggest bumping your budget up to just under forty bucks. For that quite reasonable price, you’ll get a reliable if basic headset that includes Bluetooth 4.0 for a more stable connection and better battery life (which isn’t a given at all on budget models). The headset incorporates two mics for basic noise cancellation and a hibernation mode for maximum standby time, and the package includes three ear cup sizes and a silicone ear clip for a more secure hold.